Nine Polish fashion photographers will cross borders to New York for a first-ever Polish fashion photography exhibition in NYC. Curated by Alexi Lubomirski, YOUNG POLAND will serve as an insight to the next generation of accomplished photographers born in Poland in the 1980's and '90's. PAFF is happy to announce that it will be participating in this season's Coterie tradeshow. 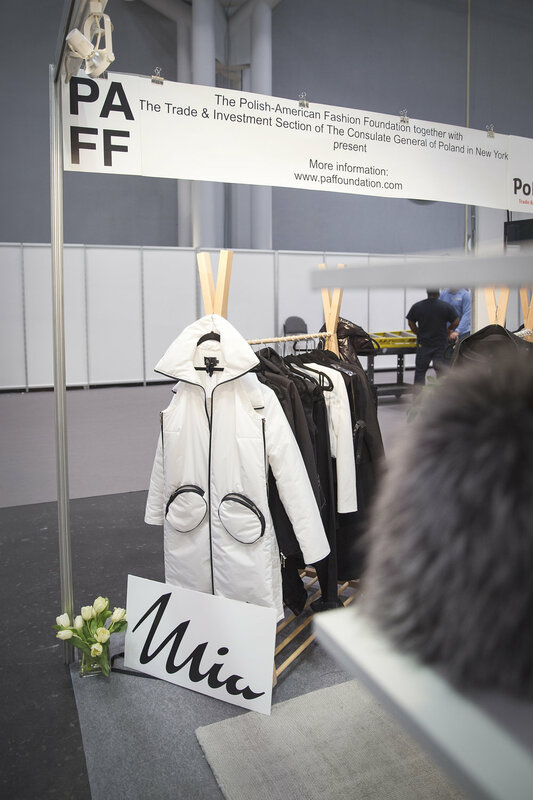 Organized together with the Trade and Investment Section of the Consulate General of the Republic of Poland, PAFF's presentation at Coterie will feature the work of Polish designers MIA and GIVONT. MIA returns to New York after presenting their Spring/Summer 2016 collection at the inaugural Polish Fashion Week (September 2015). GIVONT, a luxury millinery brand, will also be joining PAFF for a second time, after participating in last year's market week pop-up. 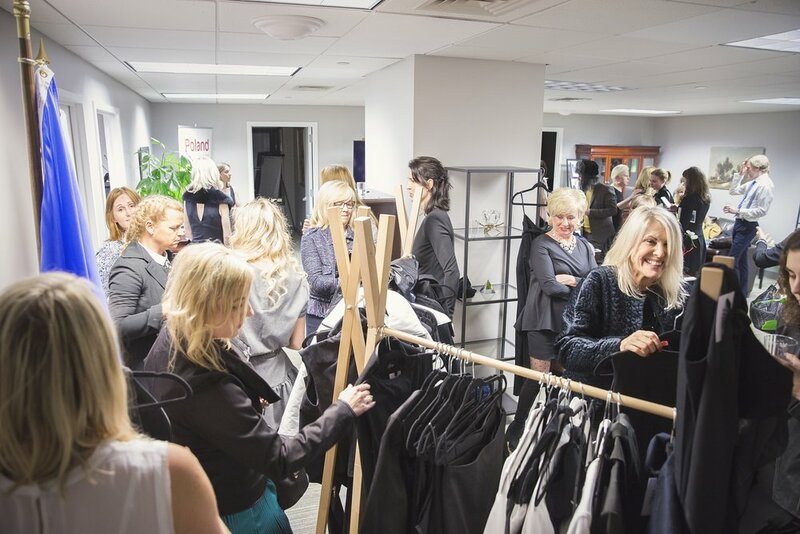 Coterie, is the premier global marketplace that connects women's apparel, accessories, and footwear designers with the international 'who's who' of retailers. Together with the Consulate, we look forward to presenting our Polish designers with this unique opportunity and a chance at presenting their brands on the global stage. The show will be held at Jacob Javits Center in New York from February 27 to March 1. For more information on the show, including how to gain access, visit www.ubmfashion.com. To learn more about MIA, click here. To learn more about GIVONT, click here. Our Polish Fashion Week 2016 Pop-up officially launches October 18, 2016. See below for a full list of details. *Showroom closed on Saturday, October 22, 2016. *Special evening events and presentations will be ticketed. To schedule a private appointment, please contact us at rsvp@paffoundation.com. For any further questions, contact info@paffoundation.com. PAFF Pop-up Coming to NYC! Join us in celebrating Polish fashion with our week-long showroom featuring nine exceptional designers straight from Poland. On June 28, PAFF Founder Alexandra Borowczak was featured in an exclusive interview with Onet Wiadomosci (Onet News). Hear Alexandra discuss her motivation to start the Foundation, last year's inaugural Polish Fashion Week, as well as the selection process for this year's designers. Read the full interview right here. Thank you Monika Jabłońska for the interview! Following a long and arduous elimination process, we are extremely excited to announce this year's finalists for our Design Competition for New York Fashion Week. Next month, we will be concluding our competition with a final presentation of the designer's work before our prestigious jury. More information to follow in the coming days! "Polscy projektanci mają charpkę na zachodnie rynki" - "Polish Designers Set on Western Markets." On April 15, 2016, PAFF Founder, Alexandra Borowczak, appeared on Poland's biggest morning talk show Dzień Dobry TVN to discuss the future of Polish designers in the West, as well as this year's upcoming Polish Fashion Week and PAFF's ongoing design competition. Joining Alexandra was this year's Polish Fashion Week 2016 headliner: Łukasz Jemioł. Thank you to Dorota Wellman and Marcin Prokop for the wonderful interview. Make sure to check it out right here.